Prohibition Agent Roy Shafer and Inspector Wolfe were transporting investigative files from Columbus, OH, to Chicago, IL. For reasons unknown, while driving southeast of Lebanon, IN, the Government truck left the road and struck a telephone pole. Agent Shafer suffered a broken neck and died at the scene. Inspector Wolfe was seriously injured, but survived. 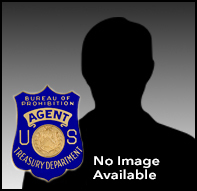 Agent Shafer joined the Prohibition Unit on February 14, 1927. He served in offices in Albany, NY, and Columbus, OH. Previously, he was the Sheriff of Noble County, OH, from 1920 to 1921. Agent Shafer was survived by his spouse, Reba; their daughter, Mary Catherine; and son, Laduc.